What image comes to mind when you think of a volcano? Is it molten lava oozing down the sides of a mountain towards fleeing creatures or a massive boom ash and debris filling the sky like a mushroom cloud? Maybe its a forested, sleeping giant churning ever so slowly towards the next explosion. 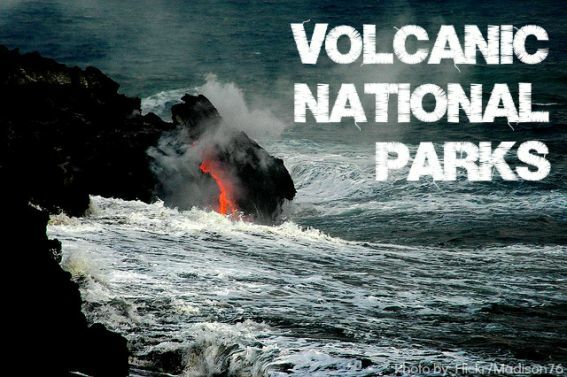 Volcanoes are all of these images and so much more and our volcanic National Parks are ideal places to explore the diversity of the Ring of Fire. This volcano in northeastern California has not erupted since 1917 but Mt. 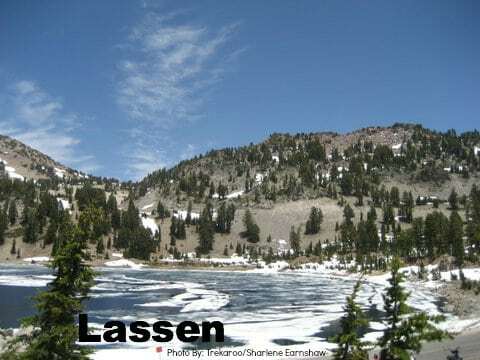 Lassen is still very much alive and breathing. Lassen Volcanic National Park is a great place to experience volcanic activity and striking mountain scenery. 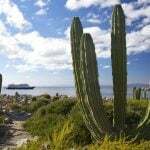 Best season to visit: Summer and early fall. 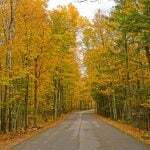 Tips: Check the National Park website for road and trail closures before you go. Snow can linger well into summer as Lassen routinely receives the most snow in California. Be sure to keep kids away from steam vents and on boardwalks in active volcano areas. One day visit: Drive the 30-mile Lassen Volcanic National Park Highway, taking time to stop at Sulphur Works, Kings Creek Meadow, and the Devasted Area along the way. Take the three-mile hike to Bumpass Hell, an odiferous scene of gurgling mud and steaming vents accessed via a trail that offers stunning views of the forested landscape. Definitely leave time in your day to play in the snow (while wearing shorts!) which often lingers into August. Multiple day visit: Pitch a tent or rent a cabin at Manzanita Lake and enjoy some catch and release fishing or peaceful kayaking. Look for wildflowers in Paradise Meadow and then spend an evening at a “Starry Nights” ranger-led program. Still can’t get enough? Consider visiting one of the parks many other alpine lakes or the 75-foot Mill Creek Falls. Big adventure: Climb to the summit of 10, 462 foot Mt. Lassen on the 3.8 mile roundtrip summit trail, gaining 1,246 feet in elevation along the way. Check with the park for trail closure dates as the park works to improve this popular trail. If the trail is closed, consider taking in the breathtaking views of Mt. Shasta and Lake Almanor from the Mount Harkness Trail instead. Standing tall on Seattle’s southeastern horizon, Mt. 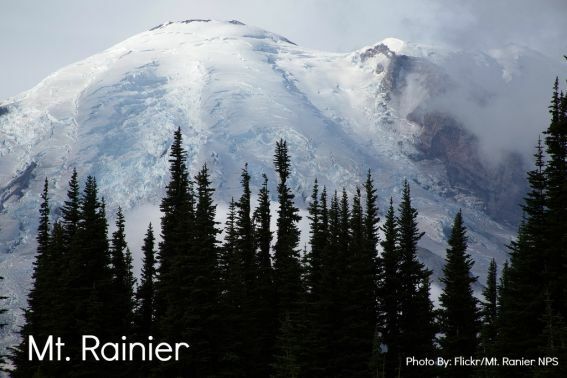 Rainier is a 14,000 foot reminder that North American volcanoes really do exist. While there have been no reported volcanic activity since the 1890s, Rainier is still considered an active volcano, capable of stirring whenever the pressure builds. These days, the mountain is much more of a vacation destination than an urban hazard. Best season to visit: Summer for hiking and exploring the mountains scenic drives and waterfalls, winter for snow play. Tips: Weather in the Pacific Northwest is notoriously wet so be sure to pack rain or snow gear depending on the season. Paradise, the main visitors hub, receives about 650 inches of snow annually! July and August receive the least amount of precipitation, making them ideal months for hiking. One day visit: During the winter, make your way up to Paradise via the Nisqually Entrance, and bring your sleds or snowshoes to enjoy the bountiful snow. In the summer, begin at the Nisqually Entrance stopping to view Christine Falls and Narada Falls along the way to Paradise. Once in Paradise, grab a Junior Ranger booklet inside the Jackson Memorial Visitor Center and head outdoors to explore the 1.2 mile Nisqually Vista Trail which is ideal for taking in views of Mount Rainier and the Nisqually Glacier. Continue east to walk the Grove of Patriarchs, a 1.3 loop with towering, old-growth Douglas fir and red cedar. Multiple day visit: Sleep at the historic Paradise Inn or camp at the Ohanapecosh or White River campgrounds inside the park. Head over to Sunrise and explore this subalpine habitat on either the Shadow Lakes Trail or wildflower carpeted Naches Peak Loop Trail. Take a walk to a waterfall such as Carter Falls in Longmire or Silver Falls in Ohanapecosh. Make time to explore the temperate rainforest in the less visited but hauntingly beautiful Carbon River area tucked into the parks northwest corner. Big Adventure: Grab your backpacks and explore a portion of the 93-mile Wonderland Trail which encircles Mt. Rainier. This challenging but stunning trail sees significant elevation gains and losses along the way, so know your children’s abilities before you head out. If you do choose to backpack along the Wonderland Trail, apply for a permit on March 15th, the first day of the application process, because demand is high. The Hawaiian Islands owe their existence to volcanic activity and Hawaii Volcanoes National Park is the premier destination for volcano viewing and exploration. Best season to visit: This is Hawaii! Every season is prime season for volcanic exploration. Tips: Come prepared for varied weather conditions. I encountered frigid rain, thick rainforest humidity, relentless high winds, and bone-dry desert heat all in the same day. Though most people are content simply packing flip-flops (or slippers as the locals call them) for their Big Island vacation, I highly recommend wearing hiking shoes while exploring the lava fields. 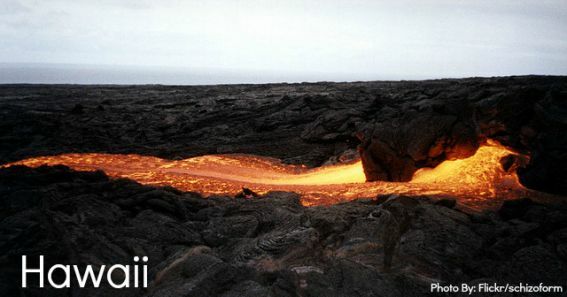 Finally, lava flows and volcanic activity are extremely unpredictable. Always check the National Park website for up to date information about the volcano just before you go. One day visit: Start your visit at the Kilauea Visitor Center where your kids can pick up those coveted Junior Ranger booklets and perhaps listen to a ranger led talk about the fascinating volcano they are about to explore. Head up the road a short distance to explore the steam vents, sulphur banks, and take in impressive views of the Halema’uma’u Crater at the Jaggar Museum. Next, backtrack until you reach the Chain of Craters Road, making stops at the Thurston Lava Tube, a lava field (or two or three), various pullouts with jaw dropping panoramic views, and finally the road’s end where land meets the sea in dramatic fashion. Multiple Day Visit: Sleep in one of the newly refurbished Namakanipaio tent cabins or stay at the Volcano House Hotel which is just finishing up an extensive $3 million renovation and is perched on the rim of the Kilauea Caldera. Spend time on the still steaming Kīlauea Iki crater on the 4 mile loop. Head back to the Jaggar Museum viewing area to watch the Halema’uma’u Crater glow at night. Big adventure: If you are lucky enough to visit the park when the lava flow makes its way to the ocean, take a boat tour and watch lava pour into the sea. Guided lava hikes (much of the current above ground flow is on private property at date of publication), are the best way to access an active lava flow on land. These hikes are often strenuous and are best suited for older kids. 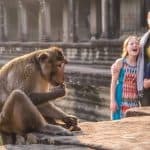 Excited to visit national parks with your kids? We are too! 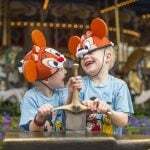 Visit our National Parks with Kids page for extensive coverage, tips & tricks for all our nation’s National Parks. 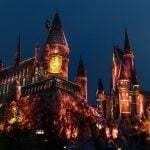 This blog post, with its travel options for families (one day, multiple day, and big adventure visits), is super. 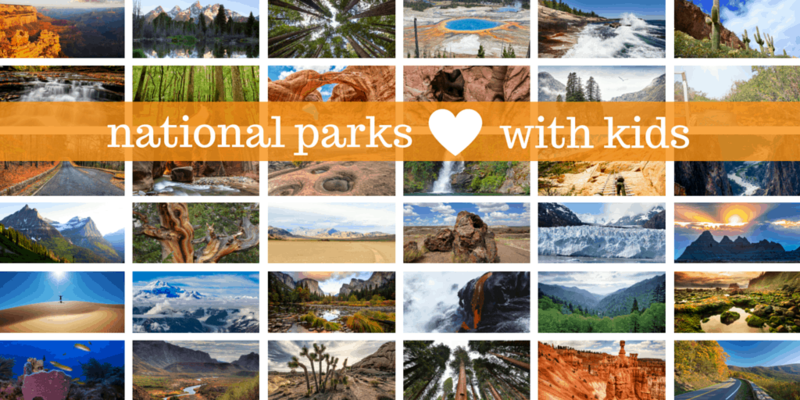 There are so very many National Parks; I hope you’re able to visit every one, Sharlene!